Born in 1958, Matthew spent his formative years in Farnham, Surrey. 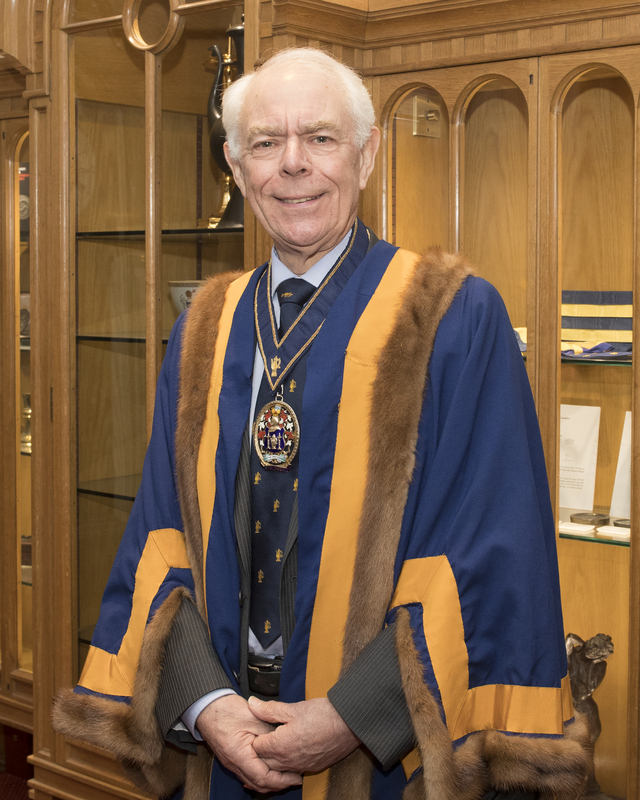 Matthew, the son of Founders’ Liveryman the late Derek Farrant, former Father of the Company, joined the Company in 1985, serving as Steward in 2002 and becoming a Warden in 2016. He has served on numerous Founders’ Committees. Following attending Seale-Hayne Agricultural Collage, Matthew pursued a career in accountancy at first dealing with farming families before moving to Coopers and Lybrand London to specialise in taxation. For more than 25 years he has specialised in family businesses as a partner in a Godalming accountancy practice which merged with Haines Watts in 2013. He is Captain of the Company’s Rowers and tasked with the care of the Belle Founder, the company cutter. Matthew is a keen follower of Guildford Rugby club having been treasurer for a number of years. When not rowing or running he pretends to keep his agricultural interests going by tending his small orchard and flock of chickens. He lives in Godalming with his wife, Louise, a Marketing Director. Following his qualifying as a Chartered Certified Accountant and a Chartered Tax advisor, Martin worked for the Wickman Group of Companies as assistant to the CEO before attending Bradford University to obtain a postgraduate diploma in Business Administration. He returned to the Midlands to join the family iron foundry business and became CEO in 1980. 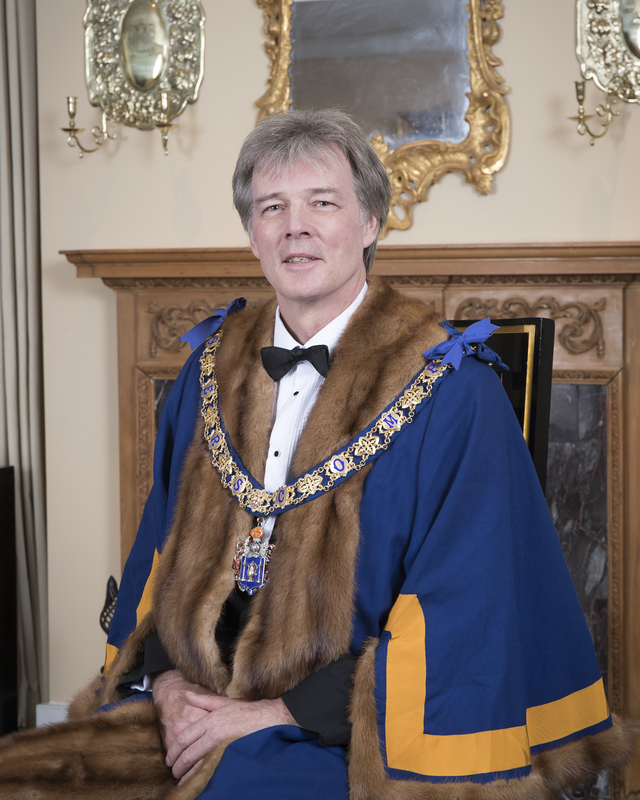 A Fellow of the Institute of Cast Metals Engineers, Martin is also a past National Chairman of the Cast Metals Federation. He has always been interested in Health and Safety issues at work and was a member of Foundry Industry Advisory Committee on Health and safety where he led the Employers team for many years. He joined the Company in 1993 and has served on several of its committees, notably as Chairman of the Industry Committee. He is Captain of the Bridge Team as well as representing the Founders in golf competitions. Martin always takes a keen interest in students applying for Founders’ Bursaries each year. Born and bred in West Bromwich in the Black Country, he has spent most of his life in the area where he is an active member of his local church and also continues to support West Bromwich Albion FC. He and his wife Geraldine live in Staffordshire and have two daughters and two grandsons. Their younger daughter Faye, although living in Los Angeles, is a Liveryman of the Company. The intention was that David would be called David Whiteoak (in common with his paternal grandfather) and so as to avoid confusing future generations, the name Anthony was added before the others. His thoughtful mother was concerned to avoid the nickname "Jackdaw" being applied at school! That was all well and good, until the Registrar introduced the "h" into Anthony; David's father a Latin scholar admired Mark Antony). He has learned to live with the fact he is a living spelling mistake. David was never called Jackdaw through his life at school at The Dragon and St. Edward's Schools, Oxford where he showed himself less interested in academic matters than was thought appropriate by his teachers. Instead his attention was taken by theatre, appearing in, directing and producing plays on the school stages. On leaving school and facing an uncertain future, inspiration came from two otters playing on the surface of a loch in Angus and eschewing Leeds University's offer of a place to read environmental economics instead he persuaded the Central London Polytechnic which offered a law degree from London University to offer him a place. A career as a solicitor followed with partnerships in Pinsent & Co (now Pinsent Masons) and Holman Fenwick Willan retiring from the latter in April 2018. Theatre continued to hold David's interest through his degree course and articles, as a member of the Polytechnic's "Poly Players" and then as one of the founder members of The Medicine Ball Theatre Company which was an offshoot of the London Debutante scene of the early 1970's. Five years of producing shows on Edinburgh's Fringe Festival were capped by two short runs for two of those shows on West End Stages. His maternal grandfather, a great shot and fly fisherman introduced David to the sports that occupy his summer holidays in Scotland and during the autumn and winter in the South. The love of those sports, the countryside where they are pursued, and the people engaged in them is what thrills him. After proposing to Claire in Delhi in December 1981, they married in 1982, they have three adult children, Michael an Estate Agent and Liveryman Founder, Celia a consultant with Deloitte and Freeman Founder, and Lucy who works in hospitality. The whole family are fine fishermen and the young are very keen shots. David is a trustee of several charities including one that has built and maintains an hospital for the destitute in Bhawani Mandi which is a railway town between Delhi and Mumbai in South Rajasthan and an educational charity that provides materials for the study of the life and legacy of Mary Wollstonecraft. He has served as Churchwarden in two parishes, first at Preston Bagot (near Stratford upon Avon) before moving to London and joining St Andrew's and St John's Church in the World's End. David is now a member of the congregation of Chelsea Old Church which is the church in which (when in post war ruins) he was baptised the day before the coronation of Her Majesty the Queen in June 1953. David is a member of Brooks's and a dining club called The Thunderers. 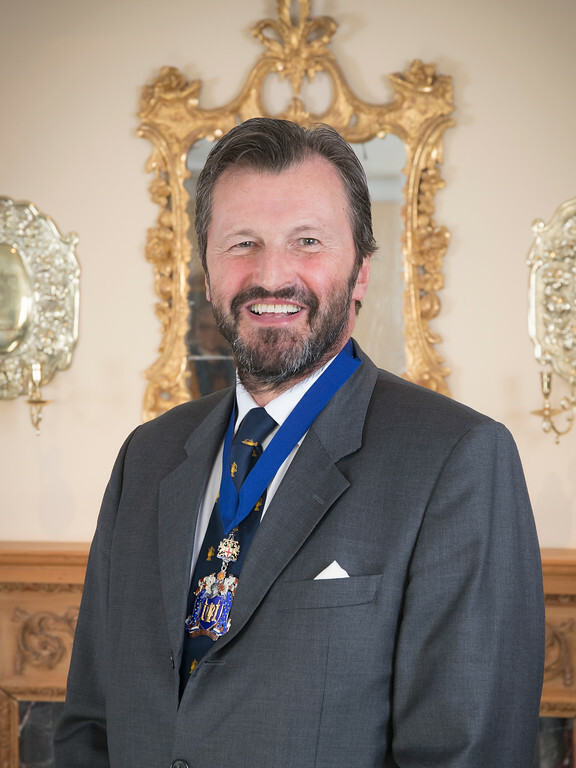 He joined the Company in 2006 and has served on several of its committees, notably as Chairman of the Charity, Governance and Audit Committees. Born in 1953, Michael was educated at Haileybury and London University where he graduated with a degree in Economics, later gaining an MBA from Henley Business School. His father, Peter, was Master in 1986. 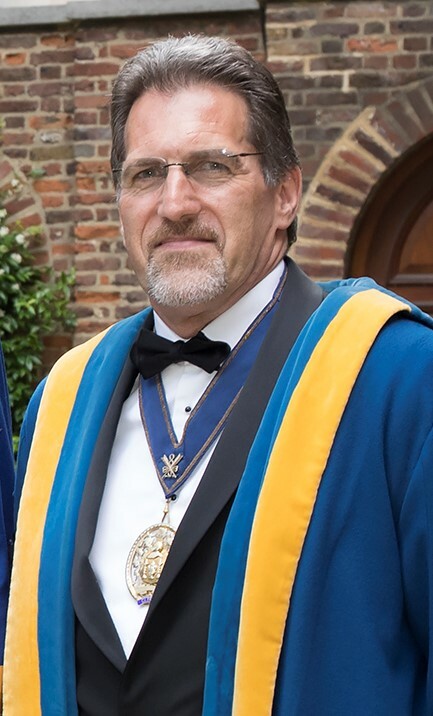 Michael became a Liveryman by patrimony in 1982 and has served as a member on both the Company’s Charity and Finance Committees (chairing the latter between 2014 and 2017). Michael commenced working for John Harvey & Sons in Bristol but later moved to Australia, spending four years experiencing a number of different jobs around the country. He travelled extensively during this period; particularly India, Africa and the United States, as well as working on a kibbutz in Israel. Michael’s career began by working for a publishing company before joining the drinks industry with Grand Metropolitan, later moving on to Seagram. He worked initially in London before being sent overseas to Mexico for three years and Miami for a further two. On returning to London he moved into the international education sector and, finally, for a subsidiary of Bank of America. His interests include sailing, squash-playing and skiing and, occasionally, fly fishing. He is also a qualified diver. Michael is a member of The Oriental Club and The Royal Automobile Club, as well as being a Fellow of the Royal Society of Arts. He currently lives in West Sussex with his wife Polly, a barrister. They have two daughters, both Freemen of the Company, and a son.